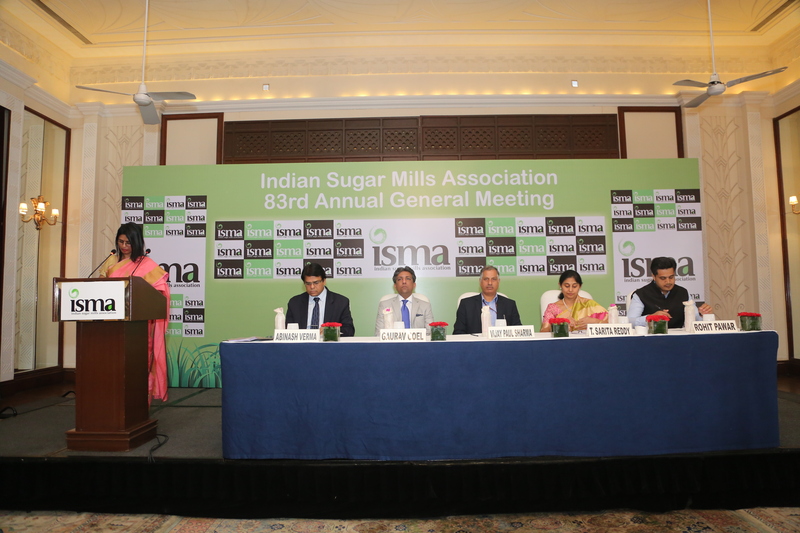 Dignitaries on the dais at the 83rd AGM of ISMA. 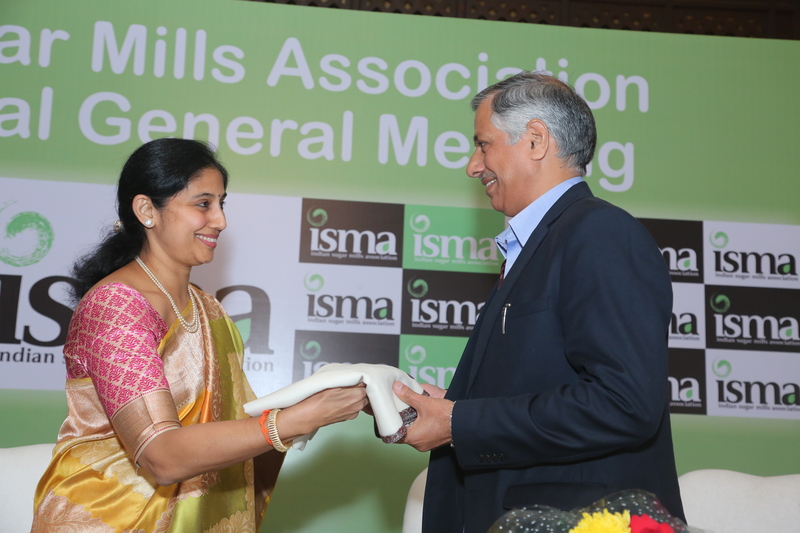 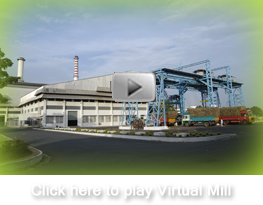 Ms. T. Sarita Reddy, President of ISMA welcomes Prof. Vijay Paul Sharma, Chairman, CACP. 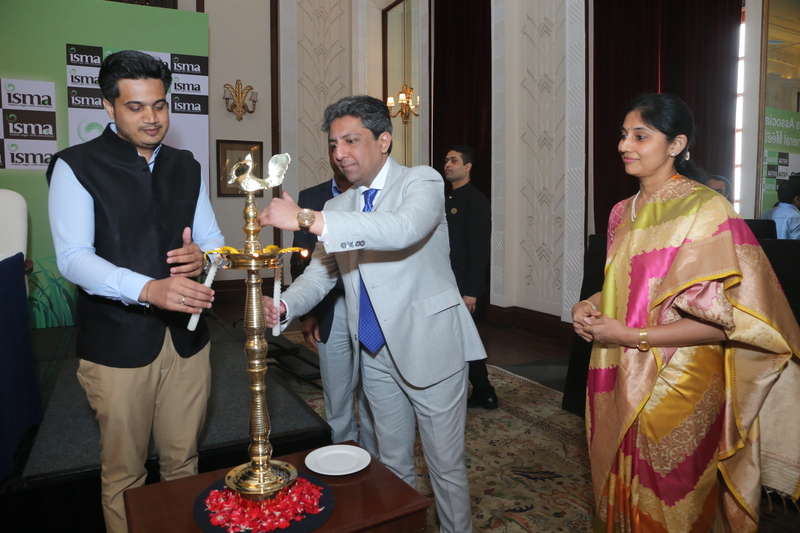 Lighting of the ceremonial lamp at the AGM. 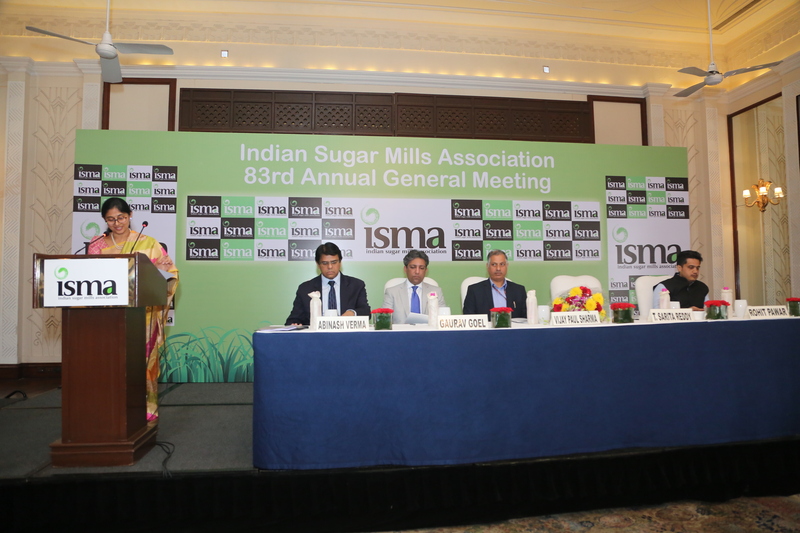 Ms. T. Sarita Reddy delivers the Presidential address at the AGM. 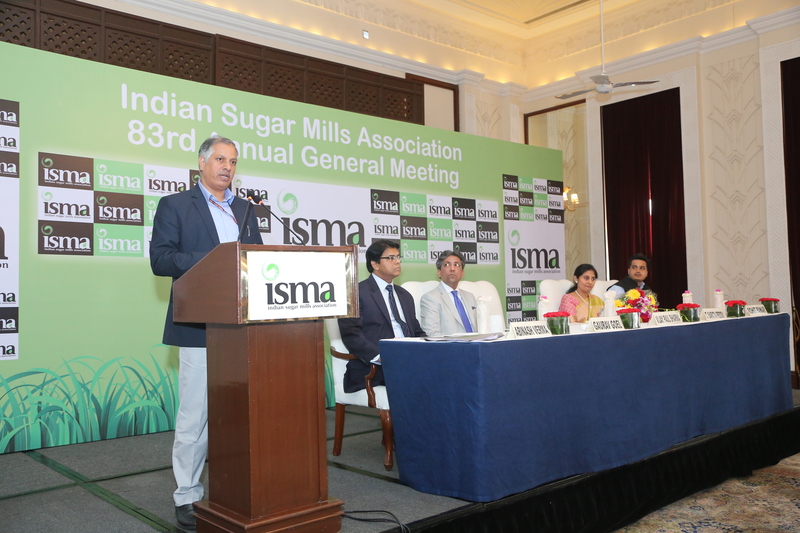 Prof. Vijay Paul Sharma, Chairman of CACP delivers the Inaugural address at the AGM. 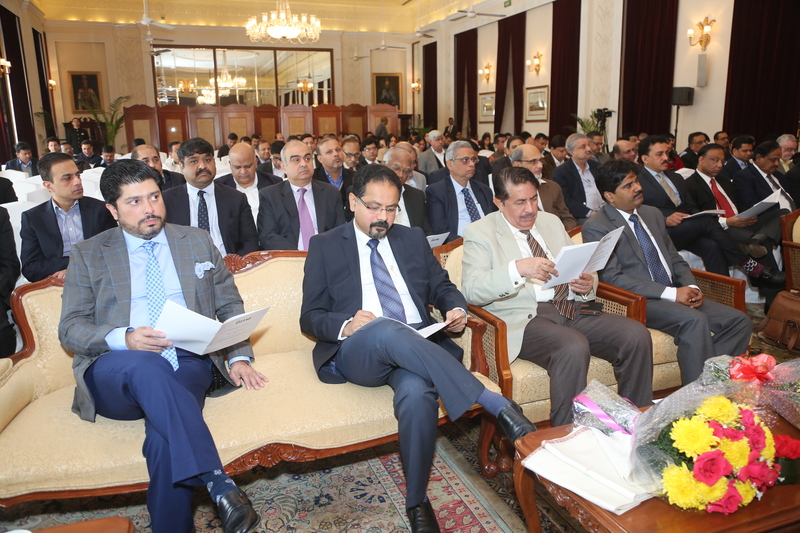 Senior Government officials and representatives of sugar industry at the AGM.